Wife approved a Model 3 preorder! Discussion in 'Model 3' started by Rytis, Jan 8, 2016. I've been lurking in the forums for quite some time and boasting to my wife how cool Tesla is. I've been telling her how I want one, and she suddenly offered me to preorder one and buy once our mortgage is done (which should coincide with the release date, especially if it follows previous model release pattern ). So I guess this is a "hello" from a prospective owner, we'll stand in the waiting line together! 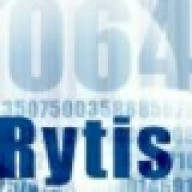 Hello Rytis. Welcome to the forum! Coincidentally I got a travel brochure through the post this morning, featuring Trakai Island Castle. Lithuania would be a great place to visit one day. Welcome! Anticipating a March '16 reveal/preorder timeframe based on Elon's comments on the last call. My guess is that regular production reservation will require a ~2000 USD deposit and a Signature model will require a ~15000 USD deposit. Truly looking forward to that day myself! Careful, it may be a trap. :tongue: just looking out for you. Well I didn't ask her for permission...and really don't need to. My wife has been pushing for us to buy a Model S. Just too large for my taste. The eGolf is hers but she mostly try's to take my MB BClass. I will be reserving 2 model 3's. One for each of us! I'm not sure if I'm going to preorder one or two. If it looks like M3 will actually be here in 2018 and the model S gets a much needed refresh then I might go with that late this year and just one M3. Otherwise I would do one base M3 and one fully loaded. Resurrecting my old thread, but had my first ever real life encounter with Tesla - behind the wheel at a test drive in Zurich, Switzerland while on vacation. Well, it IS ludicrous! Drove a P90DL Model S, and I want one now Will probably need to wait for the Model 3, but heck, I want one NOW! Need to print more money For now I guess the Tesla tshirt will have to do. Same boat here. I'm an extremely impulsive person and I fear if I test drove a P90DL then I'd somehow find a way to finance it and get myself into a world of hurt. Unless you think you actually have the possibility of affording a Model S, go ahead and test drive one. It's an amazing experience, coming from any other car. Having that much torque available at virtually any (sane) speed, is just crazy as hell. You just can never get enough of just destroying every other car at any stoplight--and with zero sound!